Is it a crime to nibble on the kids you are taking pictures of? Because I have only one word for these little ones. Yumm-o. 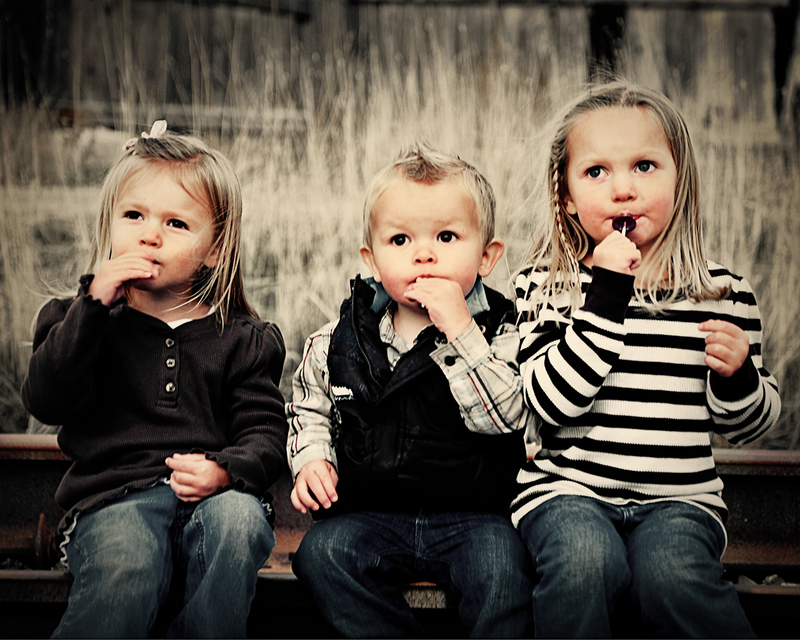 They are just about the cutest kids I have ever seen. And although shooting little ones – especially THREE little ones – comes with it’s own set of challenges, this has been one of my favorite shoots to date. It was luckily not too freezing that day, and they were great. I was supposed to take “family” pictures, and I did get a few in, but man my camera just couldn’t stay away from the kids faces. I think you’ll see why. Wasn’t that the name of a TV show? Eight is enough? I mean, I was just trying a play on words here, not actually presuming to suggest a family size for my sister. I will say this though, taking pictures of a family of ten is a lot different than a family of 4 or 5. So many more sets of eyes to be looking anywhere but the camera. But also so many more chances for a great look or a great smile. Her kids were such good sports, especially because it was quite frigid that day. You know, Utah in November is not really balmy. I have found that there is a huge difference in taking pictures of a family with babies/toddlers and a family with just big kids. I can’t say which I like better, both have their good points. I will say that I take far fewer pictures of the family with the big kids, since it is fairly simple to get one in which everyone is looking and smiling. 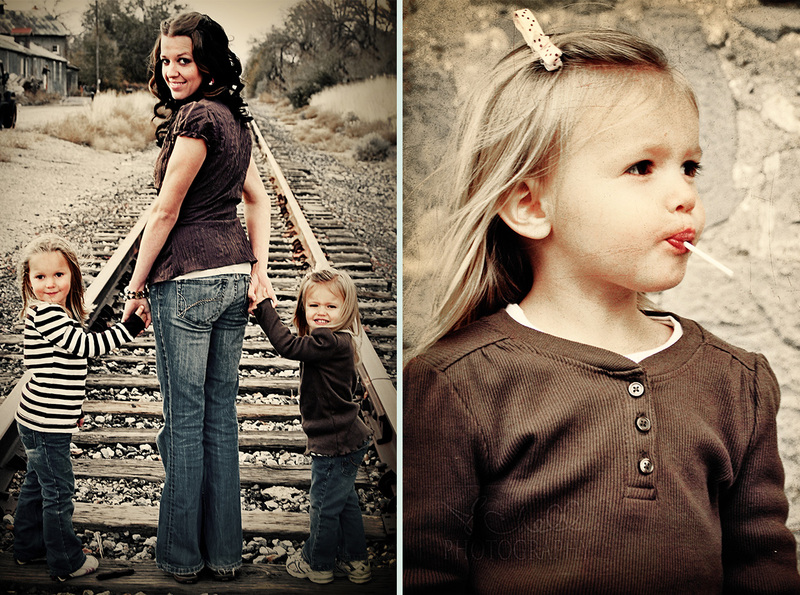 This family was fun to shoot, the kids were awesome and did whatever I asked them to. The hardest person to get to smile was actually dad. LOL. I was so nervous about my first professional photo shoot with a paying customer, that I begged all of my family to let me take their family pictures just to get some practice and calm my nerves. Luckily, they all said yes. 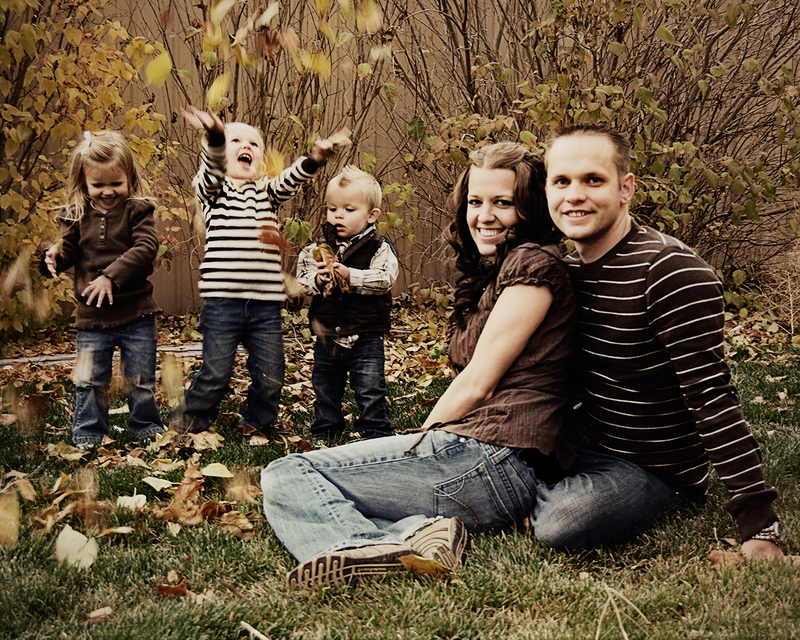 This is my brother-in-law’s little family, and they are such a gorgeous group of people. I had so much fun trying out this location and learned a few things. Thanks for being my guinea pigs you guys!